A perrenial favorite among east coast striper fishermen .They claim to catch striper " as big as VWs on it " . This mackerel blue version was sent to me by a Nantucket striper guide. 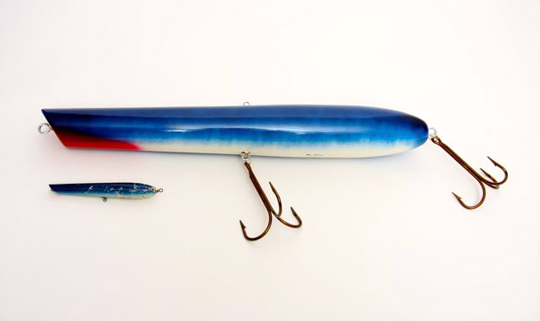 Take a look at the teeth marks on the small original lure.This lure probably looks pretty good in the mouth of a big striper .